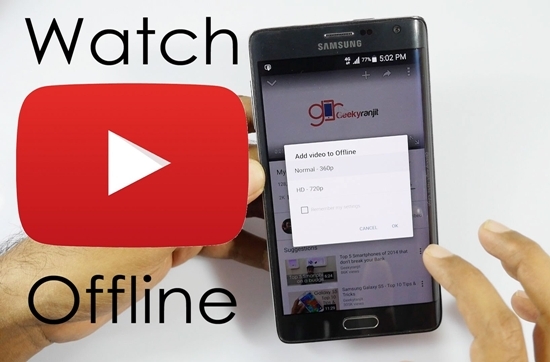 YouTube's offline playback feature is now available in Pakistan. Now a download button is shown below the YouTube video player on Android and iOS mobile phones and tablets. You can download video by clicking on this button. You can also select video quality before start of download. These downloaded will be available offline only for next 48 hours. Offline Playback Feature allows the users to watch videos after buffering, even without internet. According to YouTube, not all videos are available for offline.